N4,000 for online registration is OKAY - Reps - Corpr! The House of Representatives has approved the N4,000 fee levied by the National Youth Service Corps (NYSC) on prospective corps members for decide to opt in for extra options during the online registration process. The decision was announced by Honourable Kamil Akinlabi, the Chairman of the House committee on Youth Development. 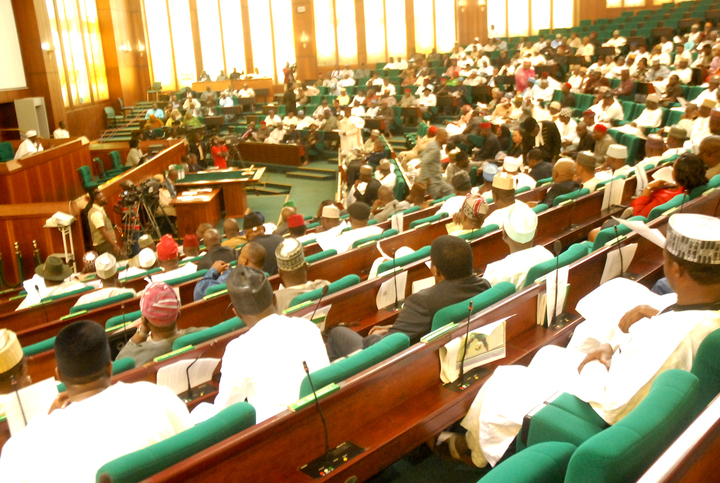 The House had earlier urged the NYSC to suspend the policy following public outcry against the fee. Akinlabi said the fee will be used to operate the private sector driven agreement with the contractor in charge of the project expected to recoup its investments in five years. He said the decision was approved by the bureau of public procurement with a certificate of no objection. He said: “From the onset, when the matter was brought to our attention, the first thing we felt was the way you are feeling but after constructive engagement, we discovered that it was an innovation that we can’t run from. “First, it was not the responsibility of the NYSC to mobilize respective corps members to get their call-up letters, it is the responsibility of the parents. If somebody schooled in Lagos but lives in Kano and to get his call-up letter he has to travel to school, you discover that its time consuming, risky and very expensive. “So what the NYSC has done is to partner with a consultant that is already handling similar projects for JAMB and WAEC that has eliminated similar risk to partner with them through a PPP arrangement. The PPP arrangement will be on Built, Operate and Transfer. “The contractor would be responsible 100 per cent for the purchase and installation of every gadget that will be necessary to achieve that in all the 36 headquarters including FCT and in all local government headquarters as well as all orientation camps across the country. It should be noted that the fee does not extend to all prospective corps members. Those who decide to opt in benefit from options like delivery of their call-up numbers via SMS and email before the numbers are delivered to institutions. Their callup letters are also made available fro printing online and subsequent reprinting if they want. Other prospective corps members will have to visit their institution to pick up their letter themselves and misplaced letters are difficult to replace. Pls for those of us who ve’nt been Posted to any state / not collected our call up letter, but will b joining batch c stream 11, when should we expect our own call up letters?